"Hill tackles life's big subjects but his approach is oblique, evocative, always pointing beyond, which is why he moves us"
The RPS Journal published an interview with Gemma Padley in September, and an article by Paul on different approaches to photographing landscape was published in the Journal in June. Paul recently had a 14 page illustrated interview in Chinese Photography magazine and he was also featured extensively in another Chinese publication, Photography in the British Classroom, a major book on photographic education in the UK. 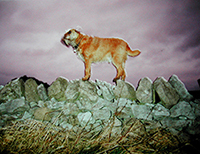 He also wrote an illustrated piece 'Lay of the Land' for Digital Camera. followed by other articles for the magazine, and his work was featured in the Creating the Countryside exhibition catalogue. Paul has work in Street View exhibition at the Graves Gallery, Sheffield, Creating the Countryside at Compton Verney, and Connecting Stories: Our British Asian Heritage, the Library of Birmingham this year. 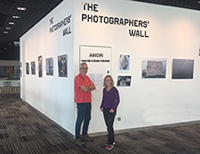 In July 2017, he and Maria Falconer exhibited their work made whilst volunteering with refugees in Greece, entitled ANON, at the Library of Birmingham, following its successful showing at Arts Points de Vue Gallery in Lauzerte, France last autumn. In addition to regularly leading workshops all over the country, Paul has recently been teaching photography BA and MA students at Blackburn College University Centre, and Nottingham Trent and De Montfort Universities.